"Nobody has the time or cognitive resources to be completely thorough and accurate with every decision, and as more decisions are required and more options are available, the challenge of doing the decision making correctly becomes ever more difficult to meet." In a world saturated with endless choices, one would think that more is better. But in Barry Schwartz’s The Paradox of Choice: Why More is Less, How the Culture of Abundance Robs us of Satisfaction, he proves that the opposite is true. He asserts that with more options available, making choices may involve trade-offs and opportunity costs, resulting in psychological distress, indecision and regret from making the wrong choice. 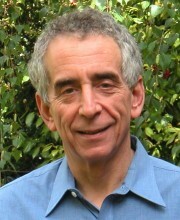 Schwartz is a psychologist and the Dorwin Cartwright Professor of Social Theory and Social Action at Swarthmore College. He has written on the topic of choice overload for multiple publications and consulted as well with many organizations. He believes that the stress and regret of making the wrong decision can be mitigated by reducing the need to have the best of everything and focusing instead on what is good enough. "Learning to accept good enough will simplify decision making and increase satisfaction." Schwartz breaks down decision-makers into two types—maximizers and satisficers. Maximizers look for the best in every decision they make. They study every alternative and consider the opportunity costs of all decisions and options not taken. This requires time and effort and in a choice-saturated world; maximizers can easily be overwhelmed by all these selections. Satisficers, on the other hand, focus on what is good enough. They have pre-determined criteria and standards and don’t worry about there being something better out there. When they find something they like, they stop looking. Research quoted in his book shows that maximizers regret their decisions more than satisficers, worry about missed opportunities, are more likely to be unhappy, and engage in more social comparison. Social comparison involves comparing the decision made to what you had hoped it would be or comparing it to what others have selected. “Maximizers will put the most work into their decisions and have the highest expectations about the results of those decisions, and thus will be the most disappointed,” Schwartz writes. The first step is to reduce maximizing as you become aware of it and incorporate more satisficing into your decision making whenever possible. Reflect on which decisions qualify for good enough and apply it consistently. He also suggests developing “well-defined standards for what is good enough” as detailed in the first GEM. "A way of easing the burden that freedom of choice imposes is to make decisions about when to make decisions." Setting limits on the choices we have to make can be liberating. The author suggests setting rules, standards and protocols for certain situations to minimize decision-making. Decide when to decide. "The more options there are, the more if only’s you will generate. And with each if only you generate will come a little more regret and a little less satisfaction with the choice you actually made." His suggestion for minimizing regret is to practice gratitude and “remind yourself of how good things actually are instead of focusing on how they’re less good than they were at first.” Keep a daily list of what you’re grateful for. Following a major decision, practice gratitude for what is good rather than focusing on the negatives. Stop searching for the best or perfect option and be content. What are the key decisions in your life?